Brick is currently available to juniors only and is held at Parramatta Park (see map opposite). You can also attend the Sunday brick sessions, held every week and is run by OneBody. Please check their website for further details. Check out our full training and race timetable by visiting our calendar. Daniel is the Head Triathlon Coach of the triathlon coaching team at Onebody. Daniels team of triathlon coaches offer triathlon coaching sessions within the hills district as well as online triathlon coaching options. 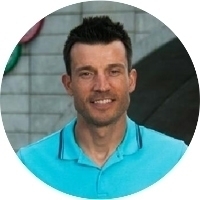 He graduated from Macquarie University in 2002 with a Bachelor of Medical Science and has a detailed understanding of the body that extends to anatomy, biomechanics, energy production and hormone regulation within the body. Originally a medical research scientist, he now applies his extensive background knowledge to maximise the physical results an individual can achieve through exercise, nutrition and modern training principles. Daniel is an accredited Retul bike fitter and is recognised as a bike fitting professional by the International Bike Fitting Institute (IBFI). He was the first Retul accredited bike fitter in Sydney and one of the first people in Australia trained to use the Retul Motion Capture Technology. He applies his in-depth understanding of biomechanics, functional anatomy and his unique attention to detail to all bike fittings he performs. For more information on his experience and qualifications as a bike fitter, please check out his accreditation. 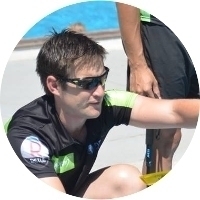 Daniel is accredited as a level 2 High Performance Triathlon Coach by Triathlon Australia and has been a fully accredited personal trainer with Fitness Australia since 2006. His extensive experience includes working with people of all abilities, skill levels and unique needs. Clients have included beginners, Super 12 Rugby Players, Australian Wallabies, National Swimmers & Australian Triathletes competing at world championships. Daniel and his team of coaches are able to work with people of all levels and achieve results by teaching them how to train effectively using modern training techniques and principles. Emir is a personal coach with a difference. One day you’ll find him in the international sports arena, coaching an elite athlete or training for high level competition himself; The next he’ll be back in a suburban park, helping mums and dads to get fit. With a Bachelor of Science in Physical Education and the Triathlon Level 1 Training Course qualifications, Emir is highly equipped to coach you to your next level of fitness or condition you for the highest levels of competition. Whatever your sport – be it swimming, biking, running, kayaking, whitewater or multisports – Emir is right there beside you. He coaches not from the sidelines but beside you on the track – giving you tips, motivation and improving your technique while you train. As a world class athlete himself, Emir is passionate about working with high performance clients – elite sports people striving for their competition goals and helping them to reach their highest levels of strength and condition. Emir competed at the Beijing Olympics in 2008, was whitewater kayaking world champion, and currently competes for Australia on the National Triathlon Age Team. He continues to keep himself in peak physical condition in order to train side by side with top level competitors. Yet he is equally comfortable leading bootcamps alongside recreational sports people, and helping individuals of all levels who simply want to lose weight or improve their fitness.